Monster March is upon us again, graciously hosted by Swordmasterofhoeth, and with Monster march comes big beasties. Here's my guide to miniature painting for beginners to help you get started on your first model. You'll find guides, tips, and tutorials. Learning how to do edge highlighting can be a bit intimidating. However, it really is easy to learn and I'll show you how in this tutorial. I have finished painting my Undead Blood Bowl team, who I've named Cryptkickers. I had a lot of fun working on this team. Enjoy the pics! 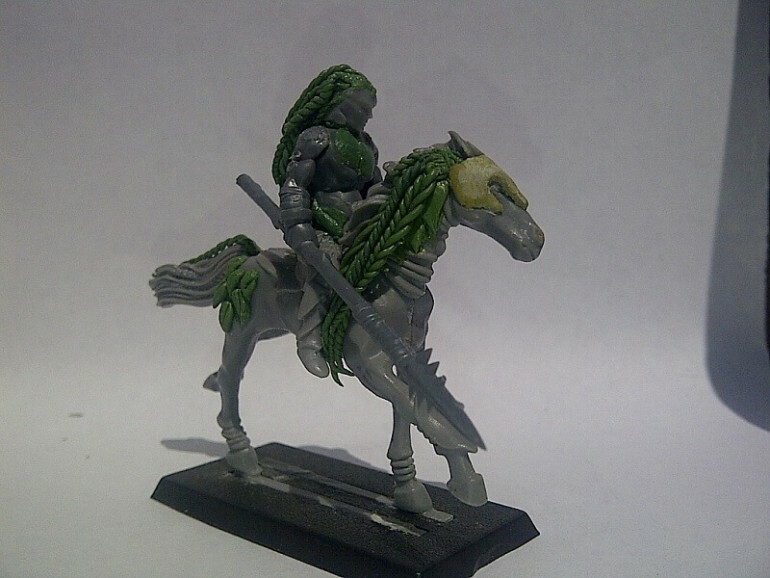 Using my newly acquired skills with sculpting, and with some conversion work, I have begun working on my Wild Riders of Kurnous for Age of Sigmar. Another update on the random things I'm doing at the moment, which include painting my Undead Blood Bowl team and a little gaming.